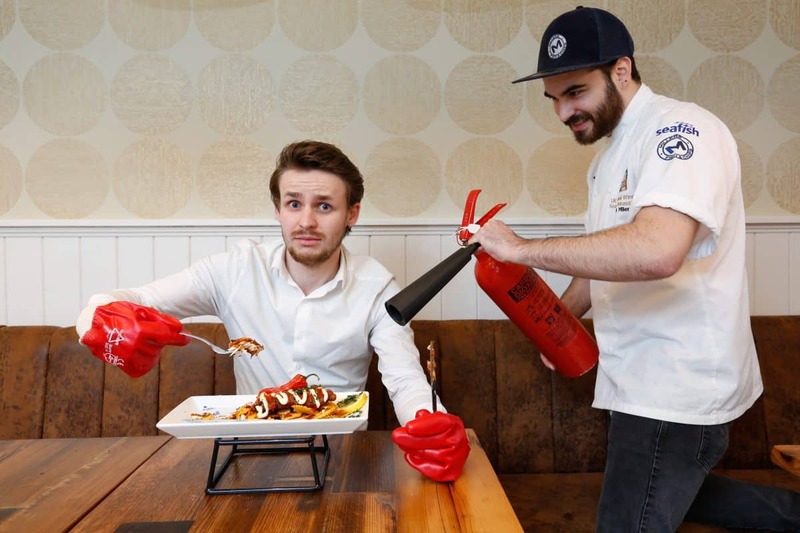 A family-run chippy is blowing the taste buds off its customers who have to sign a WAIVER before eating what they claim is the world’s spiciest fish and chips. 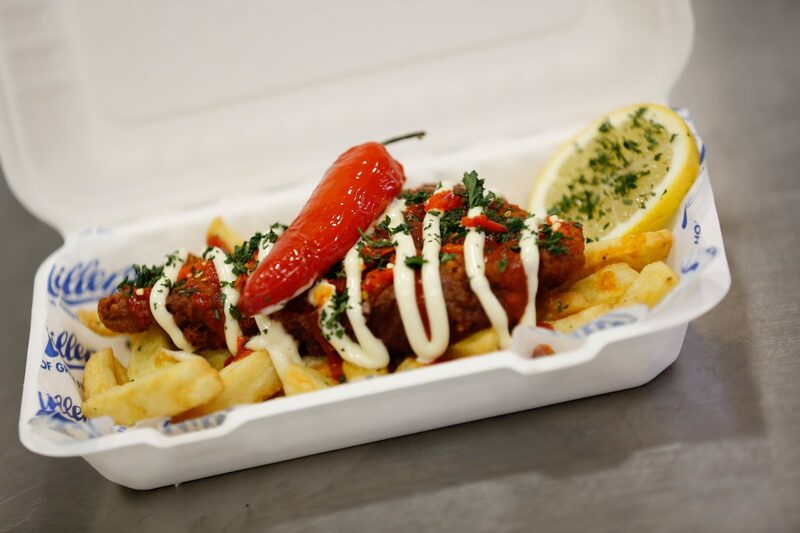 The flaming hot fillet of fish is coated in a blazing batter made from ten heat-packed ingredients and then doused in chillies and hot sauce. 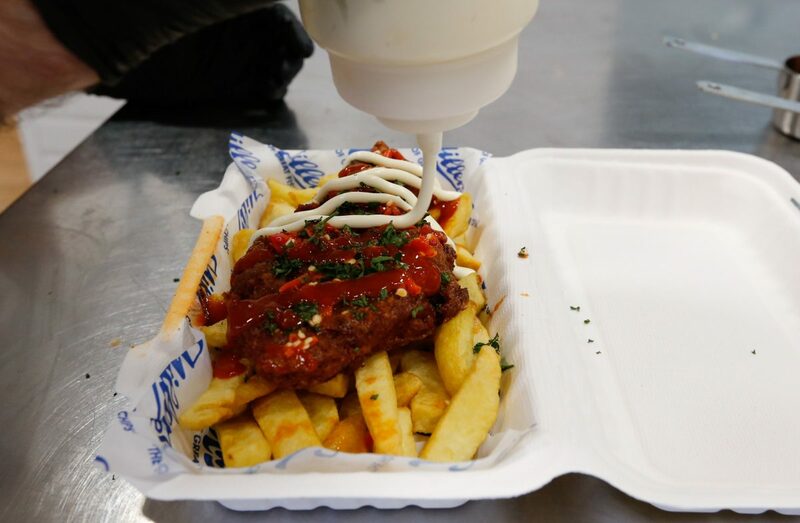 The fiery concoction is the brainchild of father and son team Nick and David Miller, owners of Millers Fish and Chips, which has been running since 1940. Nick, 29, and David, 56, have been developing the recipe for a month and tried it out on staff members and loyal customers before adding it to the menu yesterday. 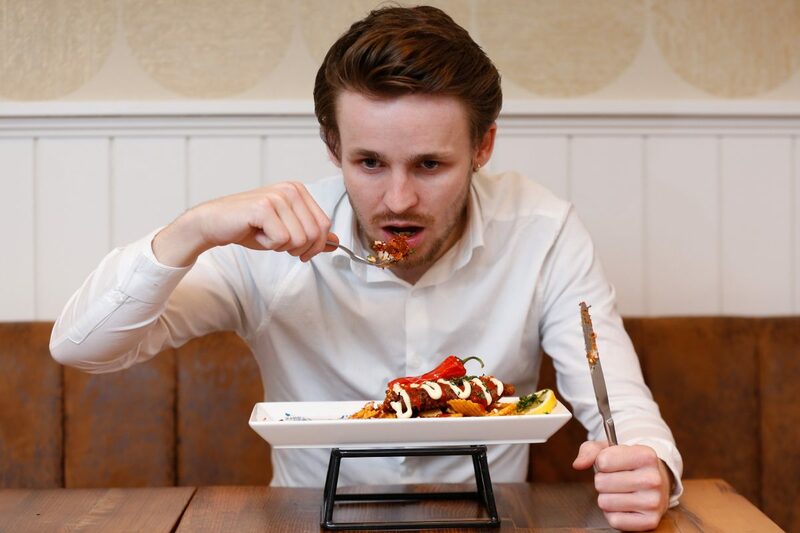 Brave diners will be charged £6.50 for a standard sized portion and have to sign a document before tucking in, so Millers aren’t held responsible for its effects. Millers, in Haxby, outside York, North Yorkshire, was named best fish and chip shop in the UK at the 2018 National Fish & Chip Awards. Nick said: “It’s important to offer something a bit different now and again. We’ve ended up with a battered fillet which tastes incredible but is ridiculously spicy. “I’m slightly scared to see what happens once customers start ordering it. “We’ve already tried it out with a few customers who said they were lovers of spicy food and they were blown away by the heat. “Anyone who orders will have to sign a piece of paper to say they don’t hold us responsible for what might happen when they take a bite. The recipe is made up of ten heat-packed ingredients including chilli powder, dried chillis, cayenne pepper, paprika, chilli flakes and hot sauce. Also included is a smattering of Seabrook Fire Eaters Scorchin’ Hot Trinidad Scorpion Chilli Crisps, which are said to be the spiciest on the market. David, who’s dad set Millers up during the Second World War, said: “This isn’t quite traditional but I think it’s important to move with the times. “It’s exciting to try out new things and different recipes.